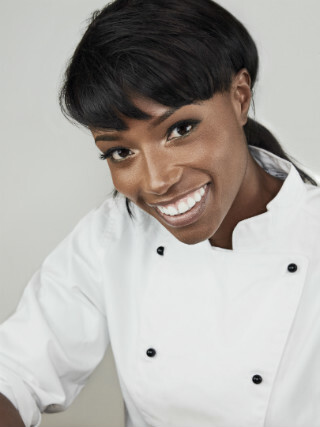 In the 1990’s, Lorraine Pascale was one of the most successful fashion models in the world. She was the face of prestigious campaigns including Versace and Donna Karan and worked alongside Kate Moss, Christy Turlington and Naomi Campbell. But with the new millennium came a completely different focus and Lorraine decided to embark on her real passion - cookery. Lorraine enrolled on Leith’s Diploma of food and wine course and then went on to graduate with a first class honours degree in Culinary Arts Management at London’s University of West London. Since then, Lorraine has presented multiple cooking TV programmes namely ‘Baking made easy’, and ‘Lorraine Pascale: How to be a better cook’ on the BBC. She has also been a judge on the UK version of ‘My kitchen rules’ and Food Network’s ‘Holiday baking championship’ in the US. She has also co-hosted the US spin off, ‘Worst Bakers’. Her shows currently air in over 70 countries worldwide. Lorraine now regularly appears on shows such as Loose Women and The One show. Lorraine is the author of 6 books with her 7th book due to be released in Mothers’ day of 2017. She also runs a successful blog. Lorraine is the patron of TACT, the fostering and adoption charity.